One Moon “day” is approximately 29 1/2 Earth days. This rotation coincides with its orbit around the Earth so that we only see about 59% of the surface of the Moon from Earth. When the Moon first formed, its rotational speed and orbit were very different than they are now. Over time, the Earth’s gravitational field gradually slowed the Moon’s rotation until the orbital period and the rotational speed stabilized, making one side of the Moon always face the Earth. How does this work? Simply put -tidal friction. For a slightly less simple explanation, we’ll have to put our science caps on. But stick with it; it’s fascinating. I promise. To start, think of how the Moon causes major tides on the Earth due to the Moon pulling at the Earth via its gravitational field. The Earth has this same effect on the Moon and, being 81.28 times more massive, the effect is much more powerful. So, as the mass of the Moon is attempting to go one way (in a straight line), the Earth is simultaneously pulling it another way (towards the Earth). Further, the effect of the Earth’s gravitational field is stronger on the side of the Moon closest to the Earth than on the far side (and the same with the Moon’s gravitational field’s effect on the different parts of the surface of the Earth). This combination essentially stretches the Earth and Moon, creating tidal bulges on both celestial bodies. This occurs on both sides of each, with the bulge on the sides closest together from gravity and on the sides farthest away from inertia. In the latter case, the matter is less affected by the gravitational force with inertia dominating in this instance. To put it another way, the matter is trying to move in a straight line away from the Earth and the gravitational forces here aren’t as strongly able to overcome this, which creates the bulge on that side. You’ll note, though, that I said we actually get to see about 59% of the surface of the Moon from Earth, not 50%. The discrepancy comes from the fact that the Moon’s orbit around the Earth isn’t perfectly circular, more of an ellipse. As the Moon’s distance from the Earth increases and decreases, its angular speed changes, while its rotational speed stays the same. The result is that we get to see an extra 9% of its surface than we would if it had a perfectly circular orbit. Thus, the distance between the Moon and the Earth changes gradually and is more or less in step with the rotational period change. It should be noted, though, that it’s not a constant change as things like major earthquakes, glacial changes, continental drift, and other such geological events play a role here, which is why leap seconds aren’t added at regular intervals, but only when needed. But the overall effect is that over time, the Moon is getting farther and farther away from the Earth every year, while the Earth’s rotation is slowing down. In theory, at some point tens of billions of years from now (with the exact timeframe being extremely difficult to nail down due to so many unknowable factors) the same side of the Earth will always face the Moon, with the Earth only rotating once per lunar cycle, which at that point most estimates indicate should be about 47 current Earth days long. “In theory”… but this will likely never happen. Why? In about 1 to 2 billion years or so, the Sun’s brightness will have increased sufficiently to vaporize all water on the surface of the Earth, getting rid of the ocean tides altogether, which is a huge factor in this interaction. However, there still would be some bulging of the Earth’s crust to continue the process to a much lesser extent. In 5 to 6 billion years, the Sun will be around the peak of its Red Giant phase, and according to the latest models, even with the Sun losing quite a bit of mass during this process, thus making the Earth’s orbit farther out, the Sun should just barely consume the Earth and Moon many billions of years before such a dual tidal lock can occur. Bottom line, at some point in the next billion years or so, humans will need to either find another home, or figure out how to manually move our current one to a farther out orbit, keeping Earth in the habitable zone of our solar system. There is technically no true “dark side” of the Moon. As noted, the Moon is still rotating and, despite the fact that we don’t see it, the opposite side from our perspective still gets sunlight during that side’s “day”. In fact, the only time the “dark side” of the Moon is truly totally dark is when we are seeing a full Moon. Not a very good article. Does not explain how the near lunar tidal bulge slows the moon. Does not explain how the earth accelerates the moon. Reads like the author is unclear on what he wants to explain. It literally explains all those things if you do more than skim the article. CALM DOWN !! You are both idiots. Wait, the earth is only 6,700 years old – how could this happen? Actually the Earth is only 6,500 years old. Everything we see around us like technology and science (FB and Space.com, TV and internet) are fabrications of Satan trying to lead us away from god! Not! @Chuck – “created a torque” doesn’t tell me anything. “small portion of the Earth’s rotational momentum gets transferred to the Moon’s orbital momentum” Interesting. How does this accelerate the moon? Because the moon is mooning us! 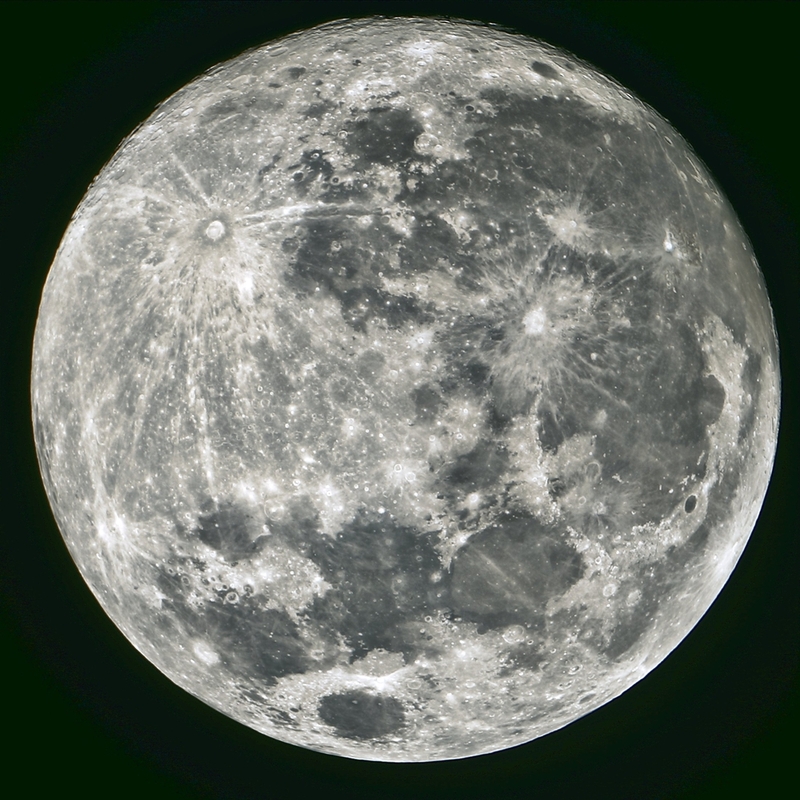 It is often assumed that the moon is a perfect sphere, which it is not. The side of the moon facing earth is more dense than the side facing away. Therefore, it takes energy for the moon to rotate its earth-facing side away from the earth. Such energy is not currently available, so the same side always faces earth, caught in earth’s gravity. How can “keeping Earth in the habitable zone of our solar system” after the Sun is converted into a white dwarf? Can you explain how the Earth’s orbit will go further out when the Sun loses mass? so if the Sun loses mass, the orbit decreases. What am I doing wrong?